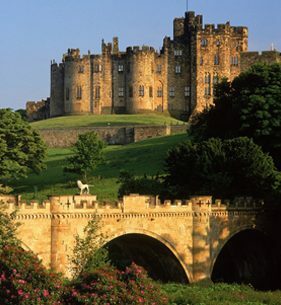 Alnwick Castle is the second largest inhabited castle in the country; home to the Duke of Northumberland’s family, the Percys, for over 700 years. The castle’s rich history is brimming with drama, intrigue, and extraordinary people; from a gunpowder plotter and visionary collectors, to decadent hosts and medieval England’s most celebrated knight: Harry Hotspur. In recent years it has also taken starring roles in a number of film and television productions, featuring as the magnificent Brancaster Castle in Downton Abbey’s 2014 and 2015 Christmas specials and previously appearing as Hogwarts School of Witchcraft and Wizardry in the Harry Potter films.